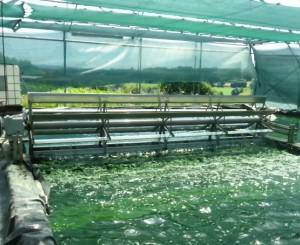 The water culture is harvested using pumps. 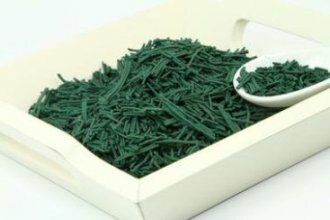 It is sent to a very fine wire sieve of the order of 50 microns (the stitches are visible to the naked eye), which allows to keep only a "green paste", called "biomass". 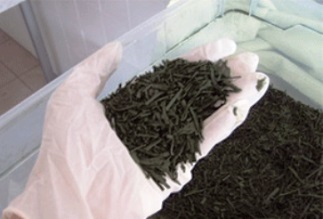 The next step is to gather the biomass obtained with a food plastic shovel and a small squeegee, - it is important to use food plastic material or stainless steel to avoid any oxidation, this could alter the quality of Spirulina - then store it in a tray in a clean cloth to facilitate its transport to the clean room. 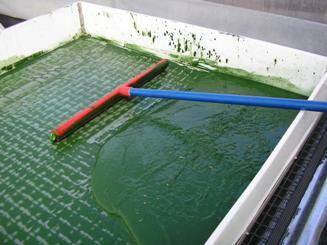 Spirulina still containing a lot of water is placed in the press. The pressing is done with a vacuum press in order to remove the maximum of liquid, to have the consistency of modeling clay. 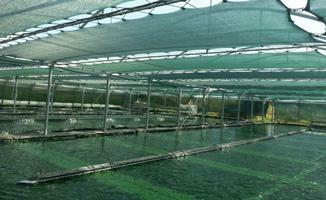 Spirulina can be consumed in this state, it is commonly called "fresh spirulina". 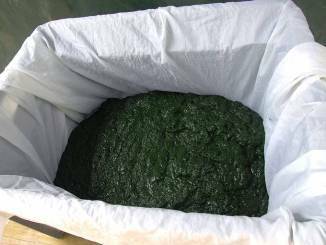 On the other hand, it can not be kept beyond 2 days; it is a fresh product, considered fragile in terms of food safety, and must be consumed very quickly. 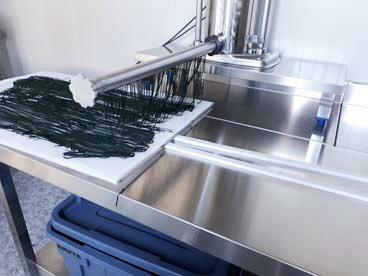 For drying to be faster, the spirulina paste is shaped into long filaments arranged on drying racks. 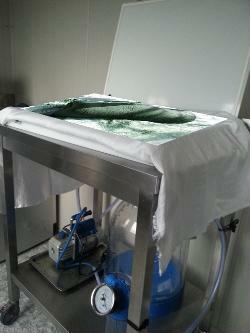 This operation is carried out with a sausage pusher, the output of which has been adapted by the extension of a stainless steel ramp pierced with 1.5 mm holes to extract spirulina spaghetti. 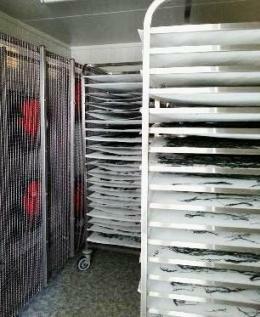 The shelves are stacked on a cart, which will be placed in a dark room equipped with heaters, dehumidifiers and central fan, where the temperature will reach about 45 ° C.
Drying time depends on the thickness of spaghetti and the number of stacked shelves but in general, for optimum drying, it takes an average of around 6 hours. 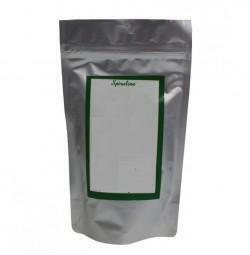 Spirulina is a well dried crisp, does not stick to its support and stands alone. It is manually ground to obtain flakes. 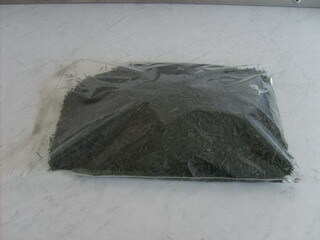 Spirulina flake is stored in waterproof bags, away from light and moisture, and can be stored for several years in accordance with these conditions.